In agro-dependent businesses, challenges go beyond technological and manufacturing capabilities. Ever-evolving consumer awareness and ever-changing agro-climatic conditions make it even more challenging to maintain business sustainability. In this scenario, sustainable agricultural practices should form a part of company’s sourcing program. Sustainability goes beyond achieving the quality specifications; it includes making sure that farming remains a viable economic proposition for those who practice it. From logistics to the finished product, the sustainable management of the supply chain should be the key aspect of any sourcing strategy. It allows extended quality control of the raw material and helps to maintain complete traceability till the place of origin thus creating value for all in the supply chain. 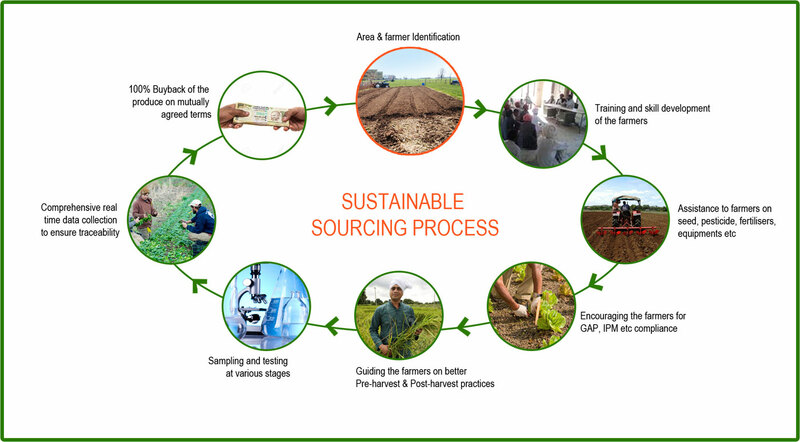 We as a company have developed sourcing strategies that have a prime focus on sustainable agro practices to achieve consistent quality, traceability and cost effectiveness over a long period of time. We are capitalizing on our relationship with the farming community in North India developed through our dairy feed division and aim to further strengthen it by creating shared value with them. 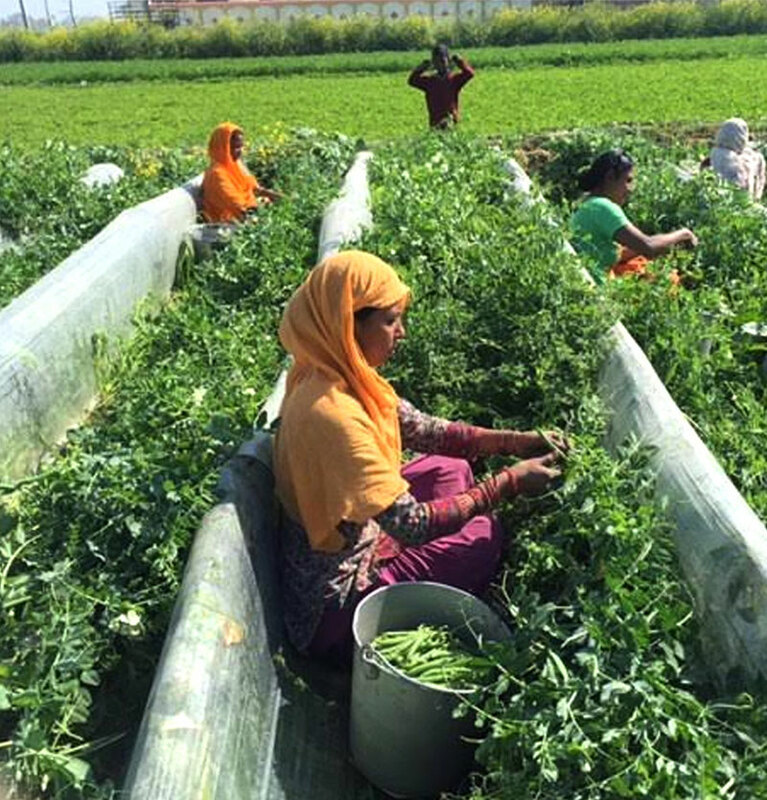 We have had excellent results in the field of chilli, cumin, fenugreek and fennel and we plan to extend our direct farm procurement to our next 10 SKU’s in the coming future. Through this initiative, we aim to cater to almost 75% of our clients’ requirement. From what started as a sustainable sourcing program for chicory a decade back, now covers a variety of spices encompassing different regions of India. It helped us establish a long term community partnership and ensured a supply which is both socially and environmentally sustainable. Our backward integration program is going on in both conventional and non-conventional areas. Our team ensures that the crops covered in the program meet the ever-evolving global compliance and customer’s requirements. At the farm level, our field team is assisting the farmer throughout the crop cycle right from area identification, crop selection and seed procurement, through training them on IPM & GAP practices (Integrated Pest Management & Good Agricultural Practices) to finally providing them fair and timely price for their produce. We are aiming to be GAP certified by 2020 to instil more confidence in our supply chain. As a consequence of our assistance, farmers have observed many benefits like up to 50% less seed being used during sowing. Farmers are empowered by trainings and demonstrations on modern farming techniques. Farm equipment is also leased out as and when required. Not only the farmers but the field teams themselves are also being trained by agronomists on the nuances of the crop cycle. To further emphasize on the importance, we have introduced ‘Efforts on sustainable initiatives’ in our employee recognition program which help to bring it right up to the plant level.